I ‘m 5 feet tall so finding pants that are short enough is really hard. For starters they’re not labeled right. If only the tag said what they meant. But there is no short and lumpy section of the store! So its time to learn how to fix this yourself. 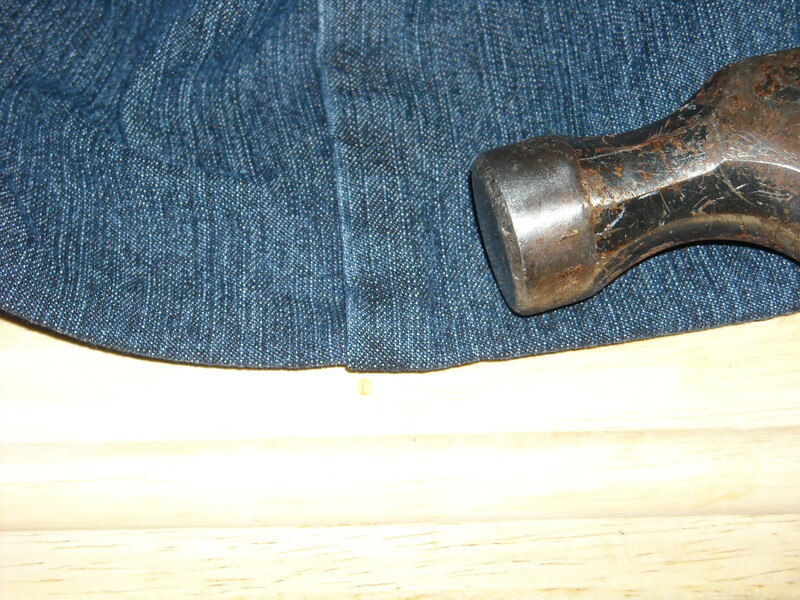 Put the pants on and put a pin in where you want the hem to be. Now you need to decide how wide you want your hem and double it. 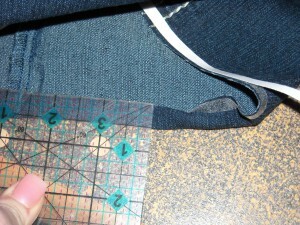 Today we’ll be doing a 1/2″ hem, so you need an extra inch of fabric past the pin. Now cut the extra fabric off. One of the most important tools I have in my sewing room is wonder tape, it can be found at JoAnn’s. 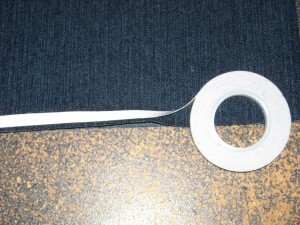 This is a wash-away double-sided sticky tape and needs to be placed along the bottom edge of the topside of the cuff. Now you need to turn your hem under twice and stick the tape down so you have a 1/2″ seam. 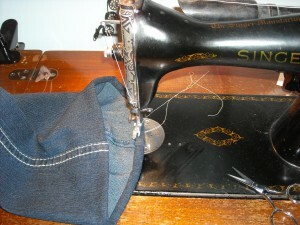 Now you’ll need thread to match not the fabric but the top stitching of the pants. One of the biggest problems people have now is sewing over top of the bulky seam without breaking a needle. Well go get your hammer – that’s right get your hammer – and smack the two side seems a few times. This will flatten the seam and also make it a lot easier for the needle to stitch right over the top of it. You want to stitch as close to the top side of this seam as possible and you’re done. With no broken needles and no pinning. Plus, I always feel better after I’ve used my hammer on something.